The Loneliness “Epidemic”: In Whom Shall We Confide? In 2010, the American Association of Retired People (AARP) published an extensive report that showed about one-third (35%) of their over 3,000 respondents reported significant loneliness. Other recent studies have estimated that up to 32% of adults experience loneliness and up to 7% describe intense feelings of loneliness. To get some sense of the magnitude of those percentages, with the current (2017) U.S. population of over 326 million people, around 142 million may be lonely and around 23 million may be lonely to an intense degree – truly a vast number of suffering souls. Suffice it to say that the once relatively ignored subject of loneliness is clearly among the most important subjects of interest and concern to social scientists and medical practitioners in our time. Anyone at any age anywhere around the world can be subject to loneliness and the numbers are clearly climbing. The most common reasons given to explain the rise of loneliness in recent decades include increasing pressures of time and money, suburbanization, commuting and sprawl, electronic entertainment (especially television), and more recently the growth of the internet, cell phones, and even the emerging field of robotics. There are also some reasons related to Christian faith. This article is a preview of The Catholic Guide to Loneliness. Click image to learn more. These points are not made to denigrate views held by some Protestants (and perhaps by some Catholics as well), but to point out that if we are to truly to become awakened as Christians, we will awaken to each other’s needs, including needs for community and interpersonal connections. Clearly every thoughtful, caring person should ask him- or herself what can be done to stem this tide of loneliness. I would submit as well that he or she should also ask modern psychologists, ancient sages, and certainly Catholic saints! I’ll provide here the briefest of highlights of the approaches provided in the first five chapters of my new Catholic Guide to Loneliness (Sophia Institute Press, 2017). The Catholic Church is also “small c” catholic, or universal, recognizing truth whatever be its source. The research on treating loneliness has shown that even more effective than training in social skills or forming social contacts or support systems is training in adaptive thinking methods of cognitive therapy that address “maladaptive social cognition,” the negative ways of thinking and talking to oneself that can come from extended loneliness, making the lonely unhappy and less likely to reconnect with others. Development of Catholic virtues, both the moral cardinal virtues of temperance, fortitude, justice, and prudence, and the theological virtues of faith, hope, and charity, as expounded by St. Thomas Aquinas, can better equip us to reach out and connect to God and neighbor in ways that diminish our own and their loneliness. Like the Desert Fathers, ancient Irish hermit saints, Russian spiritual startsy, and Church Doctors including Catherine of Sienna and John of Avila, we can purposefully embrace periods of solitude to grow in our relationship with God when alone that will enable us to more meaningfully reconnect with others when we venture back out into the world. Development of spiritual friendships centered in Christ, as expounded in the writings of Sts. Aelred of Rievaulx and Thomas Aquinas, can provide a most effective antidote to loneliness, even if friends most dear to us have been called to join Christ in heaven. Some theologians have said that Christ’s loneliness upon the cross outweighed even his physical agonies. Lessons derived from Christ’s loneliness, both his loneliness in the Garden of Gethsemane as expounded in the writings of St. Thomas More, and upon the cross as expounded in the tradition of “Jesus’ last seven words on the cross” drawn from all four gospels can help us unite our sufferings from loneliness with His. We might consider these suggested balms and remedies, as well as possible treatments of our own, as we grow in awareness of our lonely brothers and sisters in Christ and reach out to them to lighten the load of their loneliness. 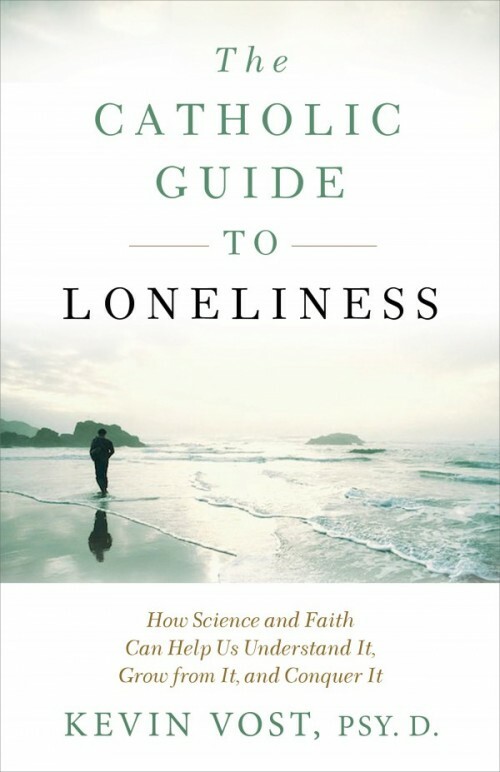 Editor’s note: This article is a preview of The Catholic Guide to Loneliness, which is available from Sophia Institute Press. (Boston: Beacon Press, 2009), 37. Dr. Kevin Vost, Psy D. is the author of Memorize the Faith, The Seven Deadly Sins, The One Minute Aquinas, as well as numerous other books and articles. He has taught psychology at the University of Illinois at Springfield, Lincoln Land Community College, and MacMurray College. He is a Research Review Committee Member for American Mensa, which promotes the scientific study of human intelligence. You can find him at drvost.com.